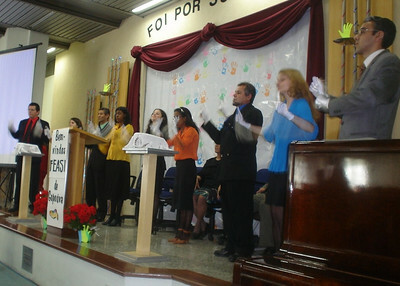 Adventist deaf in the Sao Paulo area of Brazil signing a song together. 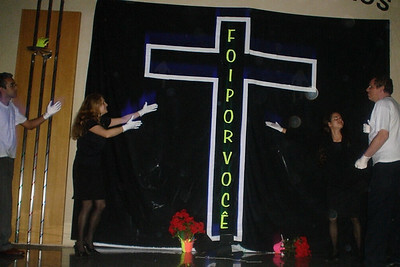 Part of a special program in Sign Language at the yearly special Adventist weekend meetings for deaf in Brazil. 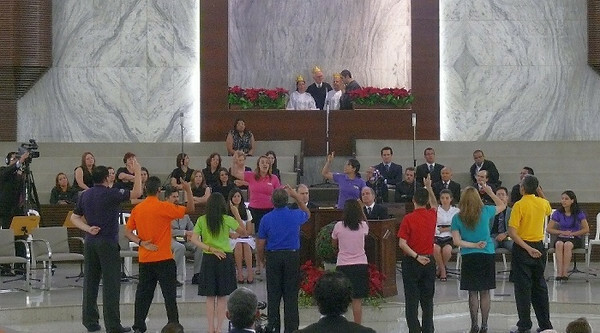 Around 150 deaf meet together yearly in Brazil for a special weekend together. 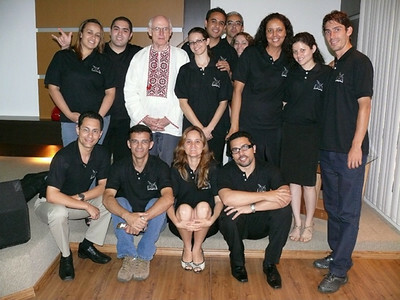 It is so wonderful when deaf in Brazil can sign about Christ in their own Brazilian sign language - one of about 70 different types of Sign Language used around the world. 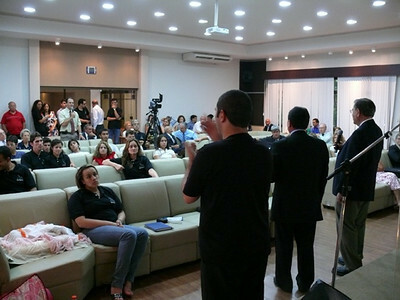 An organizational-promotion meeting in Brazil during the December 2010 weekend that Gospel Outreach started an official branch in Brazil. 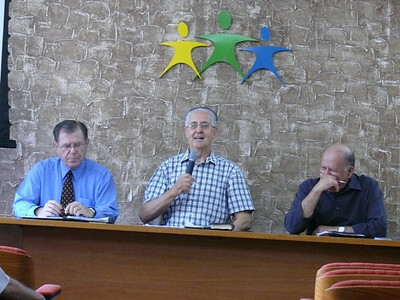 Here interpreter Fabiano Magalhães (center) is interpreting into Brazilian sign language during a meeting while Gospel Outreach President, Gordon Gray, is being being interpreted into the local Portuguese language. The deaf group, with Gospel Outreach Deaf Ministry Director, John Blake, (in Ukrainian top) who was visiting during this special weekend. 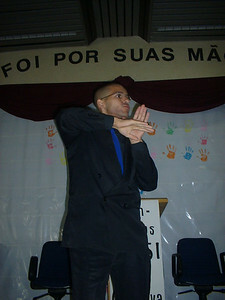 Blake says that it was a great joy to meet Adventist deaf from the general area in and around Sao Paulo, Brazil. Discussions about the mechanics of officially organizing a Gospel Outreach branch office in Brazil. Leo Ranzolin chairs the meeting. He was originally from Brazil, but is retired from the General Conference of SDA and currently lives in Florida. Here members of the Deaf group also sign the legal organizing papers for the new official branch of Gospel Outreach. One of the first Gospel Outreach projects in Brazil is to be one involving ministry to Deaf.